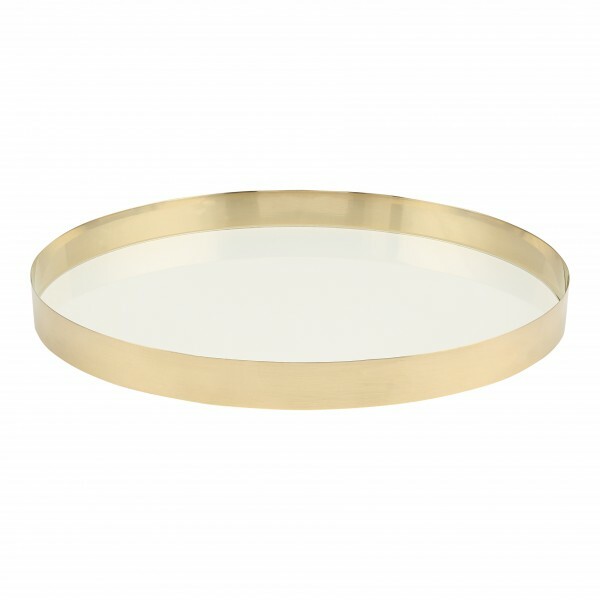 Brass tray with delicate white glass bottom. 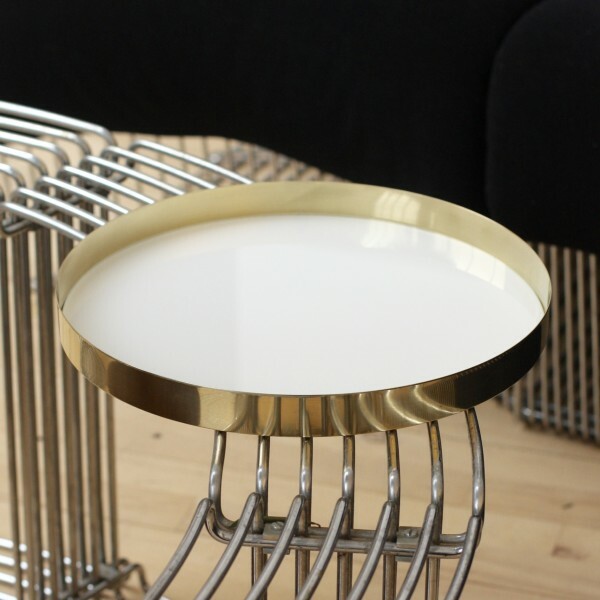 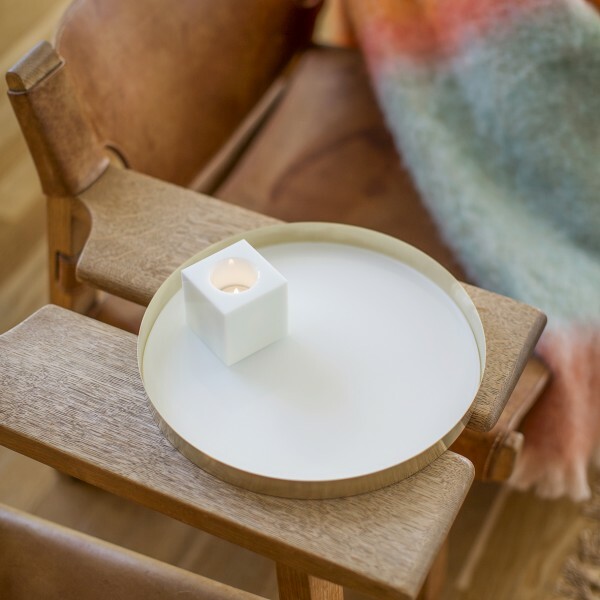 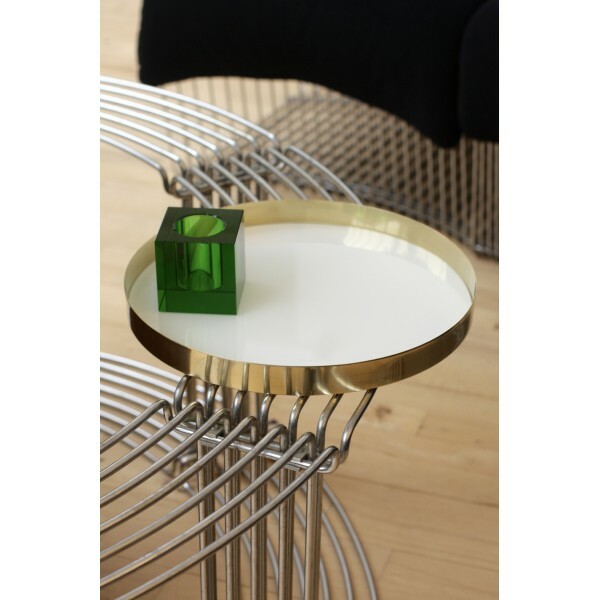 The tray by "we design" is produced in Denmark in solid brass. 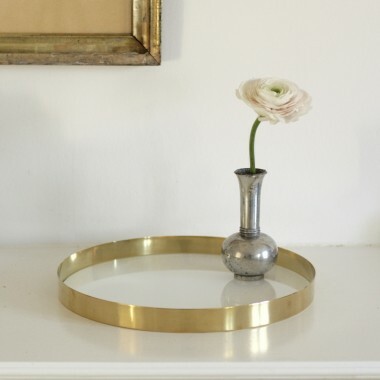 The brass patinates over time, which some people prefer, others prefer to polish it once in a while to keep it shiny.